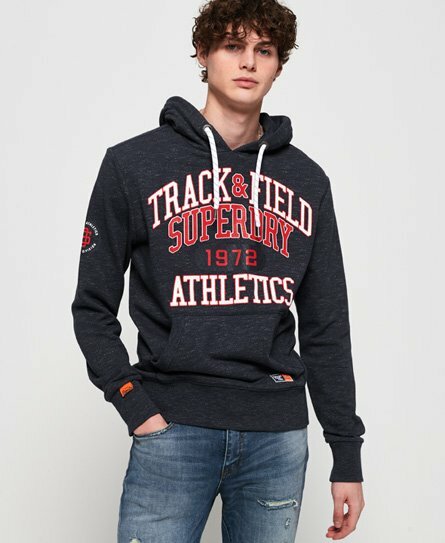 Superdry men's Track & Field lite hoodie. This lightweight hoodie features a drawstring hood, large pouch pocket and a textured Track & Field graphic on the chest. The hoodie is completed with a small logo graphic on one sleeve and logo badge on the pocket.